In the previous articles, we have looked at what exactly reverse mentoring is and how it can be implemented in individual companies. We are now going to conclude by looking at the incentives and benefits that are crucial if participants are going to voluntarily commit to the program. First of all, reverse mentoring creates a trusting and mutually appreciative working environment, is fun to participate in, and is seen above all as a valuable and highly efficient way of learning. Management staff not only benefit from the experience of their mentors, but are given the opportunity to understand how Millennials (aka Generation Y) think, act, and interact with social media in their daily lives. This enables managers to reflect on their own understanding of their role and working environment. Let’s take a closer look at participant feedback by briefly outlining the most frequently mentioned incentives for both the mentee and the mentor. The content of each meeting is tailored to the individual manager’s needs, interests, and existing knowledge, allowing mentees to work through the topics much more intensely and without any down time. It provides the opportunity to start by really getting to grips with the theory behind the digital workplace and its possible fields of application, and to familiarize oneself with the terminology. In doing so, the mentees gain an overview of various external and internal social media tools and acquire valuable practical experience by trying them out. The managers involved appreciate being able to set individual appointments with their mentor and to easily cancel and reschedule appointments if necessary. The staggering of the sessions and the ability to flexibly determine the course of the program are also seen as positive factors. For example, this flexibility allows earlier sessions to be revisited if required. The mentors’ superiors also judge their time effort to be comparatively low, so that participation remains compatible with day-to-day business. In their one-to-one meetings, the mentees feel able ask their mentors specific, individual questions that they may not otherwise ask in a seminar or webinar. This considerably reduces the inhibition threshold for managers and encourages them to try out social media tools, knowing that support is there if and when obstacles arise. The mentees particularly appreciate the chance to get on a PC themselves and get started straight away. This approach allows for much more intense and critical engagement with the individual topics. Particularly older management staff (40+) find that reverse mentoring offers the perfect safe space in which to benefit from the mentors’ experience of social media tools. Reverse mentoring enables topics to be tackled much more intensively than if the necessary knowledge was acquired in another way. Should certain topics require a greater time investment to be fully understood, sessions can be extended or additional appointments can be arranged. However, many managers still wish they had more time to try out and follow up on what they have learned on their own once the sessions are over. Reverse mentoring breaks down hierarchical structures and gives participants the chance to engage in dialogue with another generation. For managers, it is important to learn how young employees use the social media world so that they can then discuss how these platforms could be used in a meaningful way from a professional perspective. All these incentives are proof that cooperation with the mentor is perceived by management staff to be effective and stimulating. 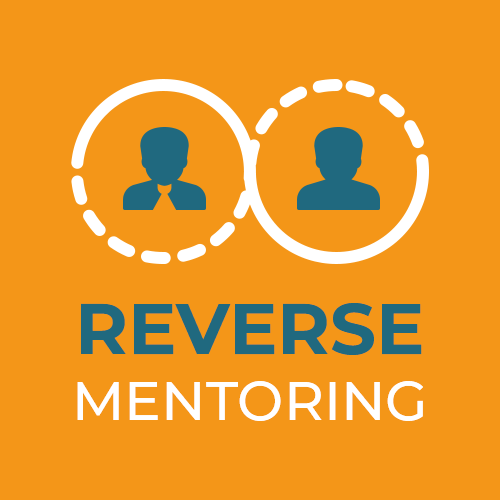 The reverse mentoring program broadens the personal and professional horizons of the mentors. By engaging intensively and systematically with content in preparation for the sessions, they also expand their own knowledge of the digital topics being addressed, the company they work for, and its digitalization activities. In addition, mentors enjoy the positive feeling of assisting one of the company’s decision makers and thus personally helping to take their company a step further. Mentors learn a lot about their own role in the company and gain experience of interacting with management staff. At the same time, they have the opportunity to learn more about the role of the manager. This way, mentors can also find out what managers think about topics such as social businesses and what priorities they set for themselves. 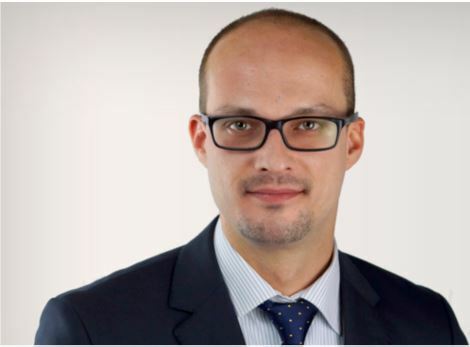 By gaining another generation’s perspective, both participants acquire a much better overall impression of the subject of digital workplace collaboration or digitalization in general. Mentors expand their own professional network by coming into professional contact both with other mentors and with their assigned manager. HOW DOES THE ENTIRE COMPANY BENEFIT? Bilateral learning effects create a real win-win-win situation, offering the company the chance to ensure that the successful knowledge transfer is retained for the long term. The pool of mentors is extremely valuable to the company if it intends to implement additional program cycles. It is therefore important that future prospects are developed for the mentors. For example, mentors can use their specialist knowledge to act as contacts within the company for digital topics. With a broader perspective, the company may want to consider expanding the mentoring community into a platform for dialogue in the direction of change management (e.g. initiating an ambassador program). Compared to training courses, the knowledge transfer success of mentoring programs is rated higher and the learned content is regarded as a good basis for the mentee to be able to act as a multiplier within the company in the future. The direct exchange with the mentor requires the mentee to engage with the topics in a far more intense way than would be achieved through standard qualification formats or personnel development tools. This shapes the future of the company and supports necessary cultural change. It also makes the program valuable on both a professional and personal level and provides an experience that is otherwise rare to come by. From the benefits and incentives mentioned on both sides, it is clear that reverse mentoring offers a good overall opportunity to establish the topic of the digital workplace and other digital aspects within an organization via its management staff.